Colm Toibin discussing the novella The Testament of Mary, patiently and charmingly made clear that once a book is published and out in the world it is out of the author’s hands as a woman repeatedly took him to task over the imagery used to advertise the play made from the novella and starring Fiona Shaw. It was the crown of thorns across her mouth I think she objected to. Fiona Shaw’s face behind the crown of thorns used as a gag is disturbing and arresting. Perhaps she just has a strong face but it makes her look like Christ. 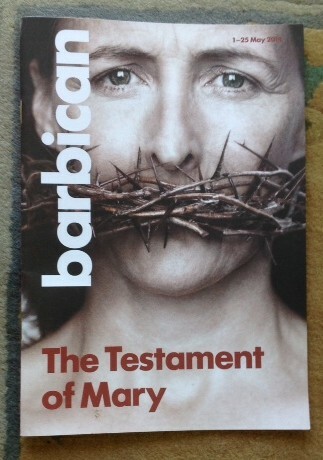 She was a tour de force in the Testament of Mary stage production at the Barbican but I preferred the less mad Mary I had envisioned from reading the book. Somewhere between the two, perhaps. It seems hard to believe that it t was only a year ago that Murielle’s Angel was published by Cinnamon Press. A year in which everything and nothing has changed. It was so momentous at the time, a huge milestone, and such a fillip that someone should show their belief in me as a writer by actually publishing my book, like betting on an outsider to win. But then Jan of Cinnamon Press, herself a poet and novelist and a wise and brave woman, is willing to take those risks on your behalf. 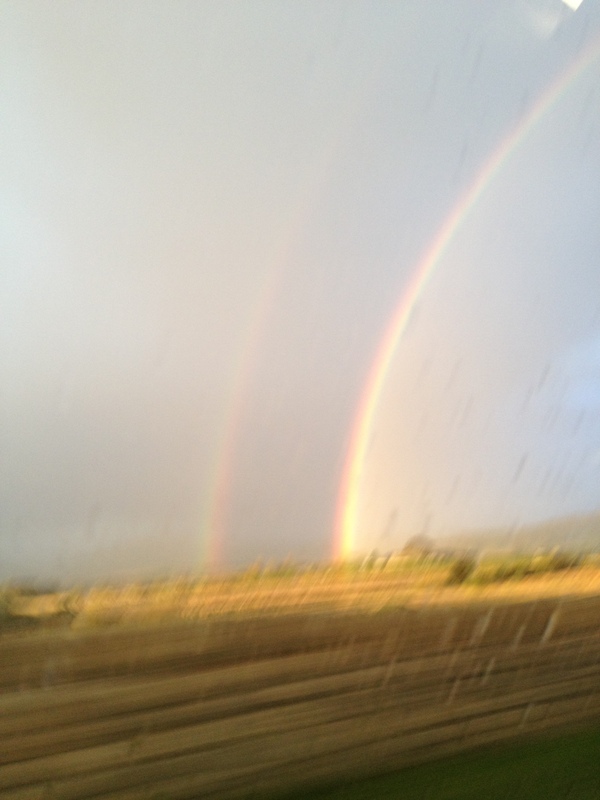 I still think of the double rainbow seen from the car window on the way home from the launch. I have had some lovely reviews too from those kind enough to post them. ‘Beautifully written .Gentle yet perceptive prose weaves a spell creating a real sense of place. An interesting and varied cast of fellow travellers on journeys of self discovery walk the Camino. Their paths and stories criss cross . Their relationships are brief and transitory, yet they will not be forgotten as they are remarkable in their own way. Similarly they will make a lasting impression on the reader . There has been much to learn and there still is. There is still much to write. My current book whose characters are still putting me through my paces will I hope be delivered in due course, after the long slow editing. And the next? Already the need for background reading is pressing. The rabbit who sits in my mother’s garden has been absent for days. 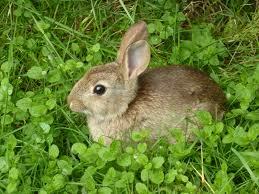 It’s an intermittent rabbit at best and doesn’t move when it’s there. You have to look for it in whatever location it has chosen for its intermittent presence. Hard to say how old it is. It could be ancient and in its wisdom just sits and thinks, contemplating maybe or just sits, content enough, not even twitching or nibbling. I wonder if it’s not an incarnation, a visitation (intermittent) from a past friend. Let’s face it at 93 that could be most of them. Perhaps the rabbit is an admonishment or better, an alter ego, especially now that Ma does not go out much herself and the rabbit is doing what she would be doing if she could escape too. An omen even; but I haven’t decided if it’s a good omen or a bad one; not yet. It’s too intermittent. 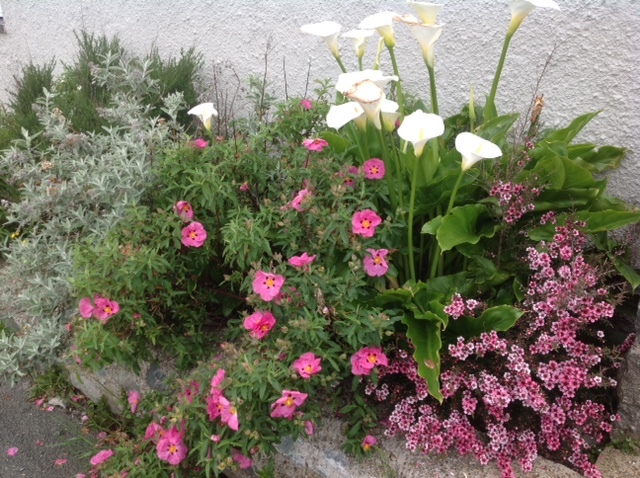 There is this tiny garden by the house on the corner of my mother’s street. A small thing but so beautiful it lifts the spirits like a good song, a poem or a bright smile. 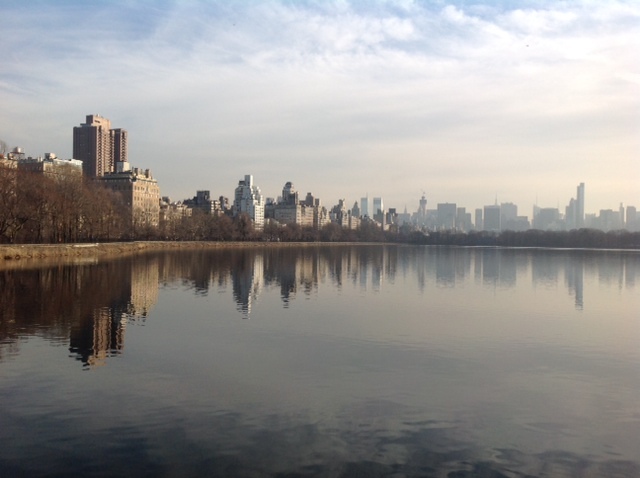 The pause before evening, an ordinary day in New York. There comes a moment when the world seems to hold its breath, traffic eases, gardeners rest a hand on their forks and ease their backs, crows clatter into the sky, as if something of import is about to take place. It is simply the pause before evening. 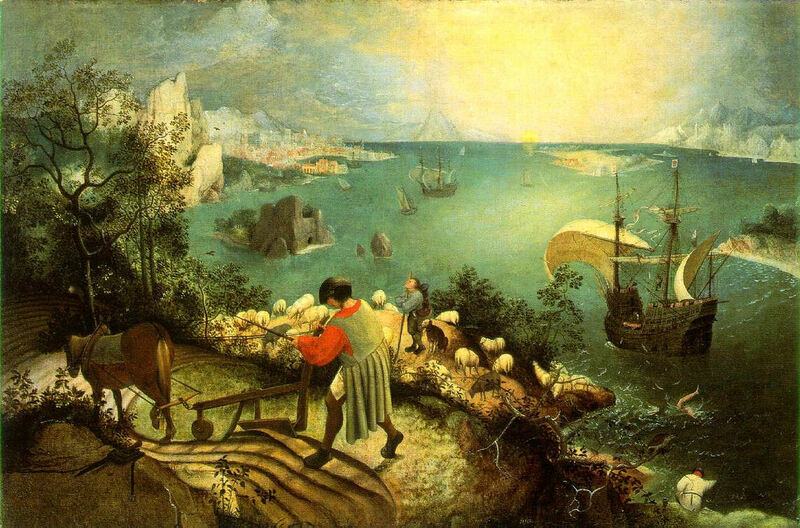 I dreamed last night of Bruegel and Icarus falling into the sea. Perhaps I was thinking of life or the suffering of others and ‘how it takes place while someone else is eating or opening a window or just walking dully along,’ as Auden (and Carlos Williams) noted too. We had ambled past a minor media frenzy and armed police standing guard outside the law courts in New York. We realised later that it was the trial of Abu Hamza, recently convicted of being Abu Hamza.